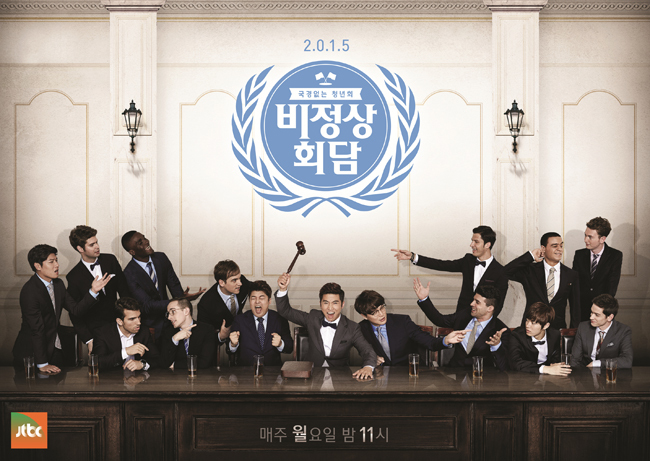 "Non-Summit," JTBC's entertainment debate show, will air its 100th episode on May 30. The debate series was first aired on July 2014, featuring some 30 foreign panelists living in Korea and three emcees ― Yoo Se-yoon, Jun Hyun-moo and Sung Si-kyung ― to discuss various topics in politics, economics, religion and social affairs. "Non-Summit" particularly focused on issues that Koreans in their 20s and 30s face from the perspectives of the international panel. The show now holds nearly 800,000 followers on its social media channels like Facebook, Instagram and Twitter. "Non-Summit has its own strength that other debate shows don't have," said Jun at a press conference celebrating its 100th episode at JTBC building in Digital Media City, western Seoul, Tuesday. "At first, we invited some guests who were only willing to appear on our show. Top actor Jung Woo-sung is an example and he will be at our 100th episode. This is because the show deals with current affairs in an entertaining manner, which doesn't ask too much of the guests." 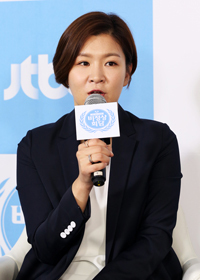 Sung said the show would have not become so popular if it was aired in America. "In America, you have international neighbors. A person from Spain can live next to you and it is normal. But in Korea it's not," said Sung. "At first, featuring foreign panelists on the show was quite exotic but now our audience is used to it. We will be seeking changes to prevent our viewers from losing interest and keep on debating as the topics are limitless." "Non-Summit" recorded an average 4.8 percent viewership up to its 95th episode according to Nielson Korea, and became the third-most-viewed television series according to research by Korea Gallup as of last May. The debate show has extended its influence as it was aired internationally through distributor Small World IFT and sold its broadcasting right to produce Turkish and Chinese versions of "Non-Summit." "The television series has changed my thoughts as I hosted the show," said Yoo. "I learned a lot, especially with the recent guest Jung, when he introduced international organizations that address poverty and homelessness around the world." Asked what was the most difficult topic discussed so far, all three emcees agreed they struggled whether to accept or condemn sexual discrimination as a part of Muslim culture. However, Yoo, Jun and Sung said they have no plans to take the show too seriously as "Non-Summit" is, after all, another entertainment show. "These days, I spend many hours planning for the future direction of the show," said director Kim Hee-jung. "Many of our viewers and journalists comment that our show isn't debating as intensely as before and it is not fun anymore. I am seeking new ways to run the series in the long term, so please keep watching our program." The 100th episode will feature some 20 foreign panelists including its early members, to be aired on May 30 at 10:50 p.m.